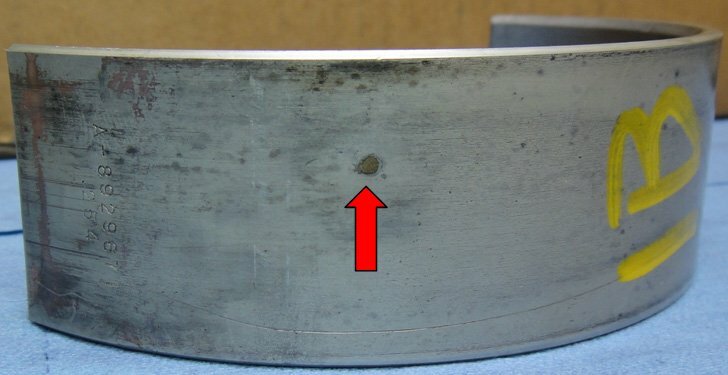 Notice the extremely polished condition of the bearings with the worst streaking toward the center of the bearing. This is an indicator of oil starvation, possibly from a dry start up or low oil. 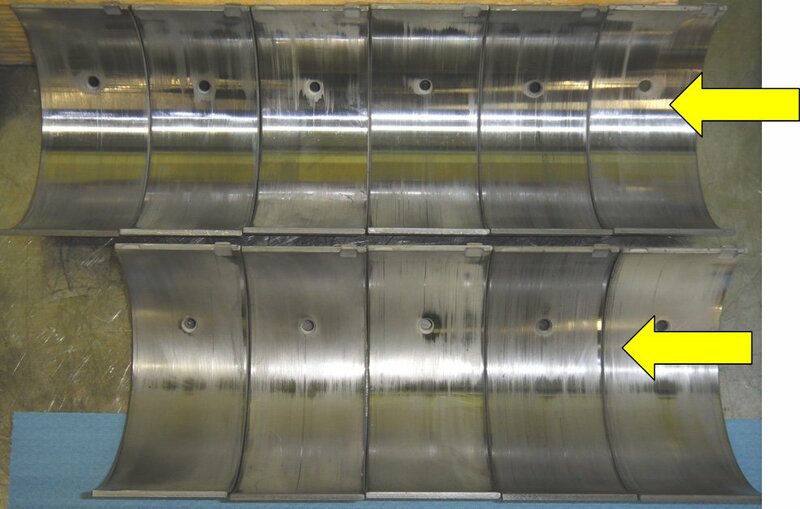 The following picture shows all of the main bearings laid out in the order they were removed. 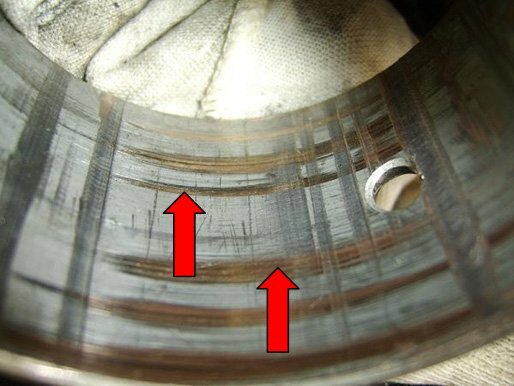 Red arrows point to bearings experiencing catastrophic failure. 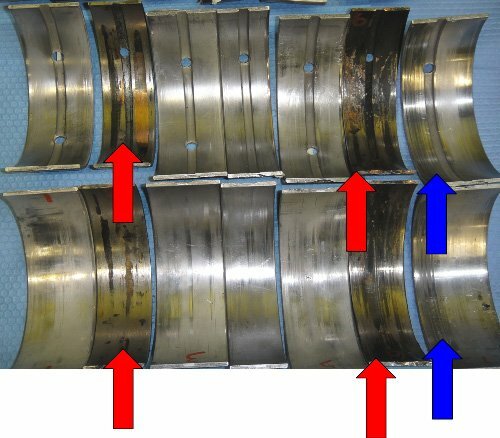 The blue arrow shows number seven bearing set starting to failure. Note all the bearing show shiny rub spots that are a further indication of lack of lubrication. 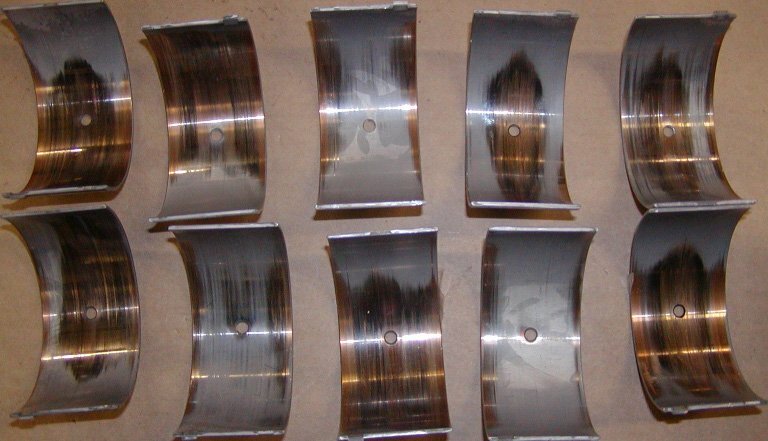 The picture shows a wear pattern caused by an uneven and rough cam bearing bore in block. Foreign material trapped between main bearing and block. 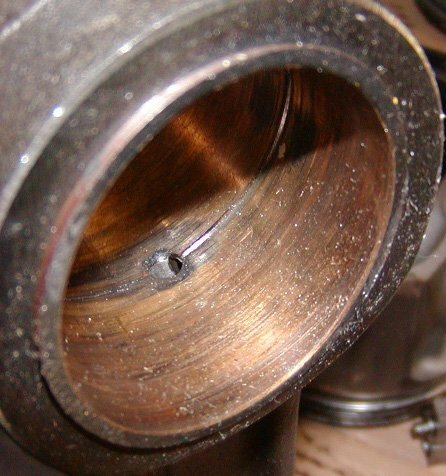 Example of a bearing failure caused by assembly error; the oil feed hole in the connecting rod was not lined up with the bear lubrication hole.